Heading to Northern Pennsylvania to celebrate the ending of a good harvest, Thanksgiving of 2011 would be a continued tradition of our pilgrim ancestors. The Manelick family would continue this tradition, celebrating the holidays Pennsylvania style. Most every Pennsylvanian hunter will tell you the following Monday is an equal important part of the Thanksgiving tradition. The Monday following Thanksgiving is a school holiday for most Pennsylvanian schools, this holiday is the opening day of rifle Whitetail deer season. The opening day of Whitetail season would represent a different kind of Thanksgiving harvest, the harvest of the land’s red meat. My father, my brother, my cousin, and my uncle continued the PA tradition of opening deer season, dawning the field together. 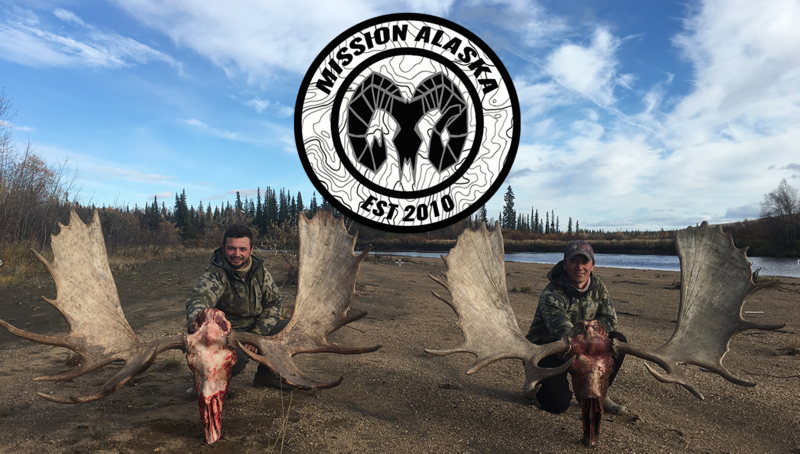 My brother would travel from Alaska, my father from over seas, and myself from Colorado to meet and hunt our family’s land and to enjoy the holidays. So many things a hunter can learn while he takes to the field in attempt of besting game. This trip I focused my interests to three, the significant of these lessons will stick with me the rest of my life. The take away points from my thanksgiving trip 2011 would be the celebration of my American family traditions, the need for good gear and basic tactics for opening day whitetails. I have learned that traditions are not made over night, but over time after many repeated practices of the ritual. The ritual of thanksgiving to Pennsylvanians is first the big turkey feast second opening deer season with a lunch packed of old thanksgiving turkey and stuffing. My first thanksgiving I really remembered was during my junior year in high school. No other thanksgivings provided me with an adrenaline rush, not any that I could remember. I got the rush by partaking in the family tradition of sitting in a red oak tree stand, the very same tree stand my grandfather, father, and brothers have sat. I sat oh so quiet that opening morning of deer season and ended up harvesting a beautiful 8pt buck with my handed down 30-30 Winchester lever action rifle. Sitting in the “Old Faithful” stand where the majority of males in my family have harvested their bucks, I realized the experience that I endured had been felt before by my elders sitting in the very same tree. We shared an experience together that cannot be explained through words, that experience is our tradition. A tradition that I will share with my children…. someday. Year after year our family has been successful during the opening day of the Pennsylvania Whitetail deer season, we have used several tactics to employ success during our family traditional hunt. Tactics for opening day whitetails. Tactics for opening day begin with the classical “all day sit”; pack a lunch (of thanksgiving leftovers) and plan to sit all day, as everyone will be pushing and moving deer in the woods. During this year’s PA hunt I used an all season weatherproof jacket from a camo pattern company called Hidden Antler Camouflage www.hiddenantler.com. The Hidden Antler Jacket kept me dry during the opening days of the Warren County PA Whitetail season, the first two days were down pours and I was able to keep dry and warm. There is no such thing as bad weather, only bad gear. Make sure you have rain jackets or a body suit, something that will keep you happy all day in the field. Outside of your gear and a well-sighted rifle, the location of your opening day spot will be the key. After I had successfully harvested my buck on the opening morning, I cut the tarsal glands off of “Dougie” (my dead 9pt buck) and made a drag-line rig. August did not have the opportunity to harvest a buck on the first day, despite have the best cut shooting lanes in the “Old Faithful” stand. I told August I had many years of whitetail knowledge of the farm, roaming the hills and hunting past years prior to gain the understanding of the best deer travel corridors on the property. I told August I would be his Buck Master and help him on the second morning of the opening days of Whitetail season. I knew my secret tree stand always had the possibility of a buck running through my shooting lanes, at any given moment at any time of the year. I used the tarsal drag line from “Dougie” and dragged him and my brother to my secret tree stand. Once we got to the desired tree (the tree where I left my tree climbing tree stand) I sat and waited for Auggie to climb and get settled (his first attempt ever using a tree climber…ahah). After he got settled, I made a mock scrape and slapped Dougie’s tarsal’s on the ground then hung them above a tree in the shooting lane. The sun began to rise and shapes in the forest became visible, I needed to get out of Auggie’s hunting area quickly. The wind was blowing the opposite direction, from the first day and it seemed as if Auggies buck came directly to Dougies fake scrape and his tarsals. An 8pt buck was convinced he was about to get in a fight or score a lady, as Auggie sat in the stand sprinkling doe urine all over the place. The buck was fooled and came within 5 yards of where I shot my deer (Dougie), and where Dougie’s tarsal’s and mock scrape was. August shouldered his handed down 30.06 and awoke the forest with a boom. The woods gave my brother a beautiful 8pt buck the second morning of deer season, my brother could not have been more jovial with his first whitetail deer harvest of all time. I could not have been happier to help him, and we sat like small children admiring the accomplishment 27 years in the making. 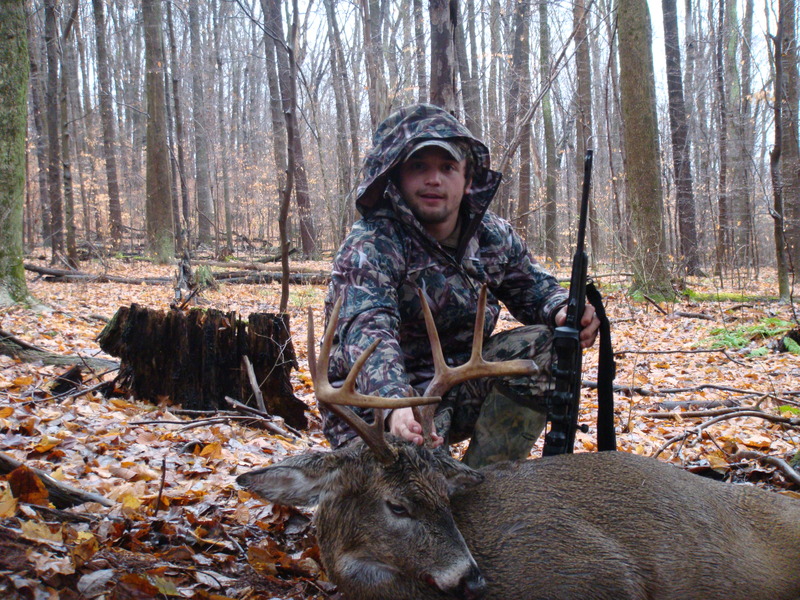 Several tactics for our success on opening day of Pennsylvania Whitetail season. -Location of your stand: Funnels, and pinch points. Spots such as my hunting area in the Allegheny Mountains of PA and have large hills, I found that the saddles between two points funnels bucks across the lowest points. Preferably you find a saddle between two high crossing points, other hunters will push deer right in front of you. -Shoot your rifle the day prior to the season, even if your rifle is “on” please do a confidence shot. -Be prepared to sit all day: meaning proper weatherproof gear. Tip: when rain is in the forecast, I will bring two extra rain jackets to drape them over my legs and shoulders in the stand. Pack an all day lunch as well. With coffee thermos (aka liquid gold). Bring an empty milk jug to discard any un-needed fluids while in the stand. -I keep my rifle at the ready at all times while in the stand (chamber round once safety harness is attached to the tree): Be ready for a fast shot as the deer will probably be running from other hunters. -Wear a safety harness, no matter how tall the tree stand is. -Be as scent free as possible: this will only help and not hurt you. If you can wash scent free the night before the season and leave your clothes in the dryer with scent free dryer sheets until leaving for the field. Follow those few tips, and I guarantee that you harvest a legal beautiful buck. 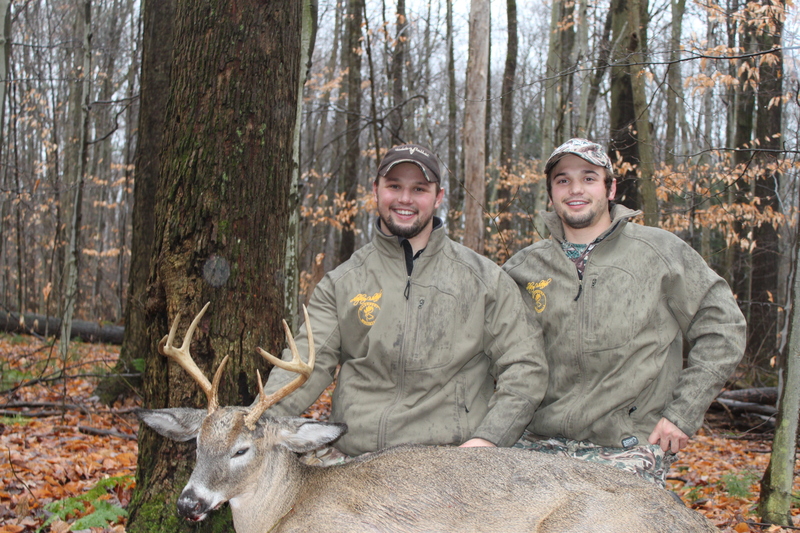 Take it from the Alaskans, me and my brother, who both took bucks during the first two days of the PA 2011 season. Harvesting two bucks per five hunters for PA is undeniably, a good harvest. Proud of our accomplishments, my father could not have been happier to see his two adult children harvesting the trophies of their dreams. My brother August and I, could not have be more thrilled than by sitting next to each other grinning over our 2011 harvest. This past Thanksgiving will be one of the most memorable holidays of my life. This was the result of an effort from multi parties of the Manelick family to keep the PA tradition alive of the opening day of deer season. Someone from up above had to be looking out for us.